I'm a mixed right-left brain kind of guy. I have a linear scientific mind that looks for balance and precision. However, I also have a flowery artistic side that balances out my mundane logical side. Here are some of the things I've done on my own that I have never been paid for, but I still think they are pretty cool and of good quality. 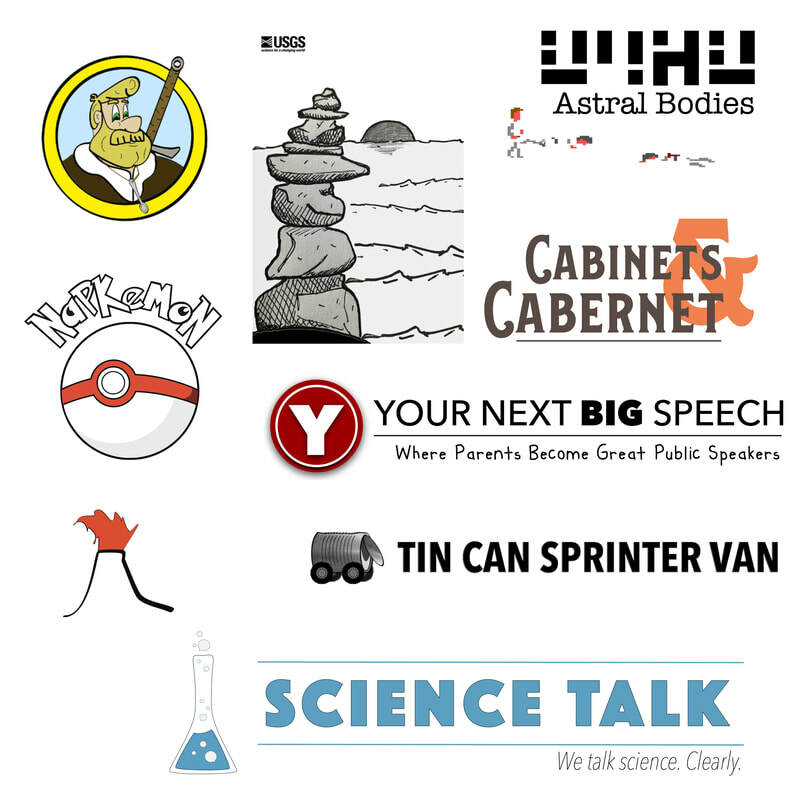 I have done my fare share of logo design for a few different events, organizations, and websites. I've also played around with personal branding and straight up graphic design. My background originally started in cartography and map making, but eventually led me to drawing, layout, and design. Starting in winter 2017, I started sketching Pokemon on both my daughters' lunchbag napkins. They seemed to really like it. Over time the art and messages began to improve. Here's what I've given them so far. I am no artist. I'm just a dad who loves his kids and wants them to feel special. Plus, drawing helps fill the creativity niche in me. As I mentioned, I like to doodle. Sometimes I don't have a napkin around to prep for my daughters' lunches. Instead, I sketch on a post-it. I'm a bit focused on Pokemon of late. 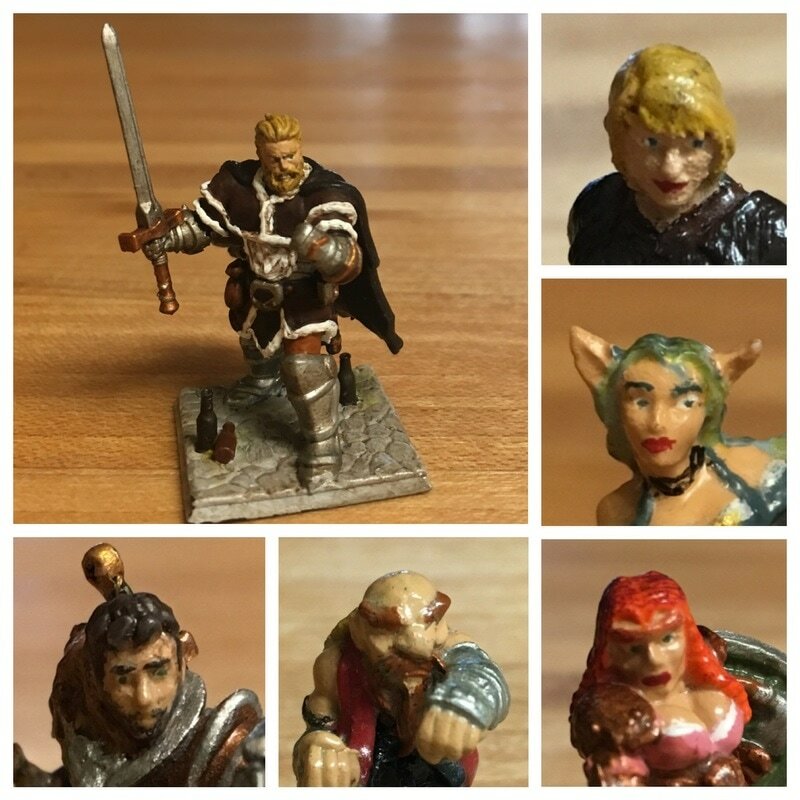 ​Join Orin Thorhammer and friends on their epic journey through the Sword Coast. Danger. Intrigue. Bad jokes. Adventure awaits...in THORHAMMER'D. I care about clear communication. 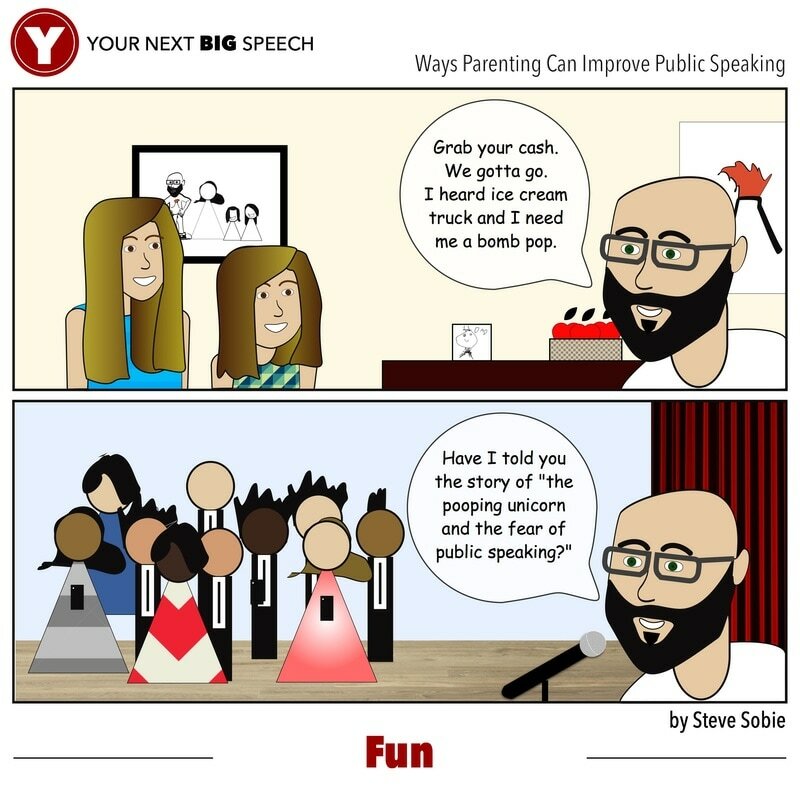 I also know that relating parenting and public speaking may seem like a bit of a stretch. Using simple concepts and comics, I show people just how easy it is to take parenting out of the home and bring it to the stage. I've always wanted to learn how to sculpt and tap dance. I don't think I can tap dance alone at home. I can sculpt alone at home. 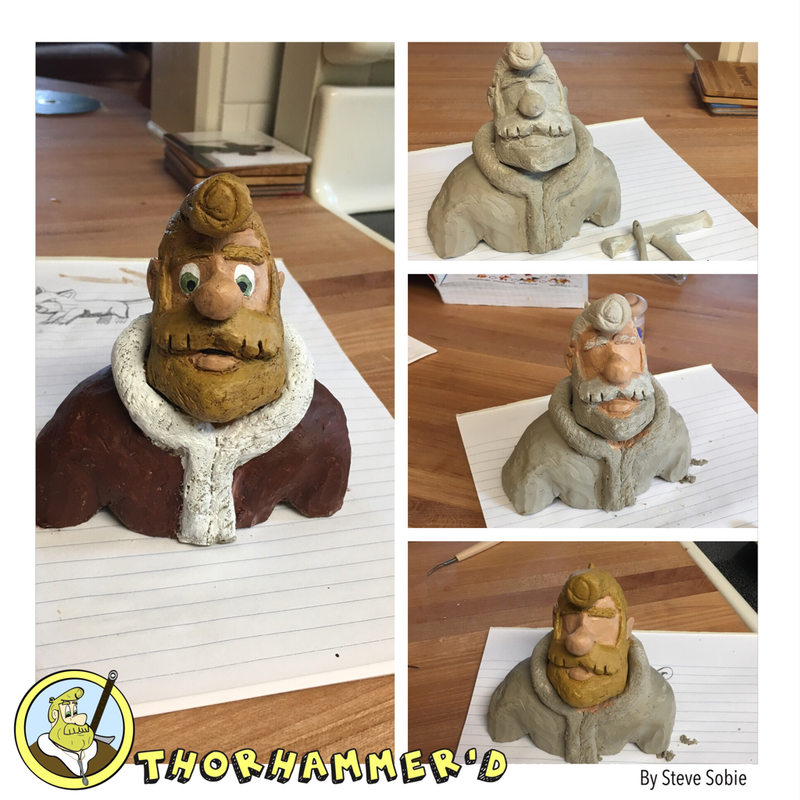 Here's my first project, a minibust of my D&D character Orin Thorhammer (cartoon version).